Bureza is not just any menswear label - its the extension of a complete lifestyle. We believe everything should be better. We enjoy helping men dress better. It is what gets us up in the morning. It is about the best possible result for every client, and because we are all so different, none of us are perfect - we've perfected our made-to-measure service just for you. Sure, being well dressed is not the most important thing in life. We take care of that so you can forget about it and get-on with the more important things. We have two levels of suiting. 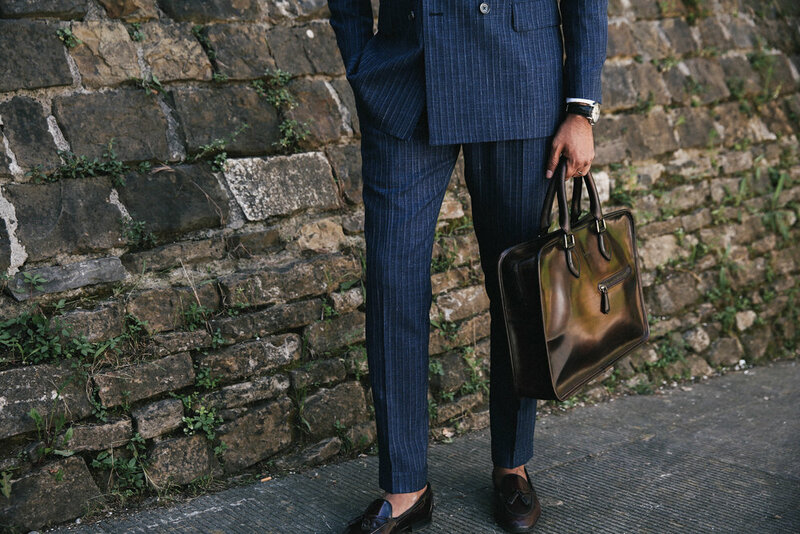 All our suits are made by tailors and employ a floating canvas construction in the chest. This means the suit breathes, has necessary flexibility for comfort, adapts to the body, and allows for a luxurious appearance by not restricting the natural drape and behaviour of the cloth. Importantly across all three models the collars, sleeves and canvas pieces are attached by hand. We’re a lightweight specialist. We aim to make suiting relevant and highly wearable in all contexts. Our emphasis is on fit and a reductive approach to building a wardrobe. We encourage our clients to slow the process down and carefully, over time, build their ideal wardrobe. We approach it logically and didactically. We discover most client’s tastes and preferences develop as a result of them improving their understanding of what it is that makes the clothing relevant to them. We revel in the process of creation. And we love to share our secrets with our customers. We encourage you asking us questions. And we always make magic happen. We operate by appointment (or chance…). So please make contact through enquiries and we can organise a consultation or fitting with one of our tailors. Our showroom is full of handmade Italian goodness, whether its for your pleasure or for gifts.